Singer Jason Derulo says: "As a Haitian-American, I've become more and more invested in giving back to where my family is from. 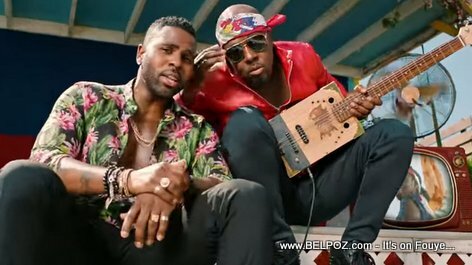 To that extent, this song (Colors - watch the video below) is a bit of a launch of plans that I am excited to reveal soon..."
Watch the official video... Jason Derulo - Colors, The Coca-Cola Anthem for the 2018 World Cup. Shot partially at The Citadelle Laferriére, a regal mountaintop fortress located in Northern Haiti, the video brings people from around the world to celebrate their respective flags and nationalities.